Fall is in full swing and, as usual, the season changed in the blink of an eye! This quick change of season may have left your skin feeling dry and dull. You might even be breaking out more than usual. This is all because our skin changes just like the seasons. I know it sounds crazy that our skin can have more breakouts in fall and winter, but we explain it all below. In the fall, our skin continues to function the same, and still has oils flowing like in the summer. However, the cold air tends to create a buildup of layers on the surface of the skin, trapping oil, bacteria and debris below it. Because of this, breakouts are more common, and your skin will require more protection from loss of moisture. Don’t worry, you don’t need to buy all new products and switch up your whole routine, you might just need to tweak it a little. Continue reading to learn more about what to do this time of year, but for more information or to get customized advice, book a consultation with a trusted skincare professional. It’s always important to pay attention to the changes in your skin. You may need to change up your cleanser in the cooler weather. As always, avoid surfactants, foaming, and sudsy cleansers. They strip your skin even more, leaving it dry and possibly irritated. A good oil cleanser or mild milk cleanser would be the best choice. •Clear Skin – Our best-selling cleanser! Clear Skin is great on oily skin and skin that has congestion and acne. It’s a gentle and effective cleanser, treatment, and moisturizer all in one. It balances oil production, refines, moisturizes, and leaves your skin feeling soft, smooth, and healthy. •Mild Cleanser No.1 – This is a great cleanser for normal and dry skin with no congestion. It’s filled with rich antioxidants to help repair, rejuvenate, and hydrate the skin. •Deep Cleanser No.2 – This cleanser is ideal for normal and dry mature skin. It’s a rich, anti-aging cleanser that helps to maintain the surface integrity of your skin. •Cleanser No.3 – Balance and restore your skin’s sensitivity. This lightweight oil cleanser will balance oil production and easily clean away excess oil, dirt, and debris. For some skins it can be reapplied to treat and moisturize your skin. This is the best cleanser to use on sensitive and Rosacea skins. 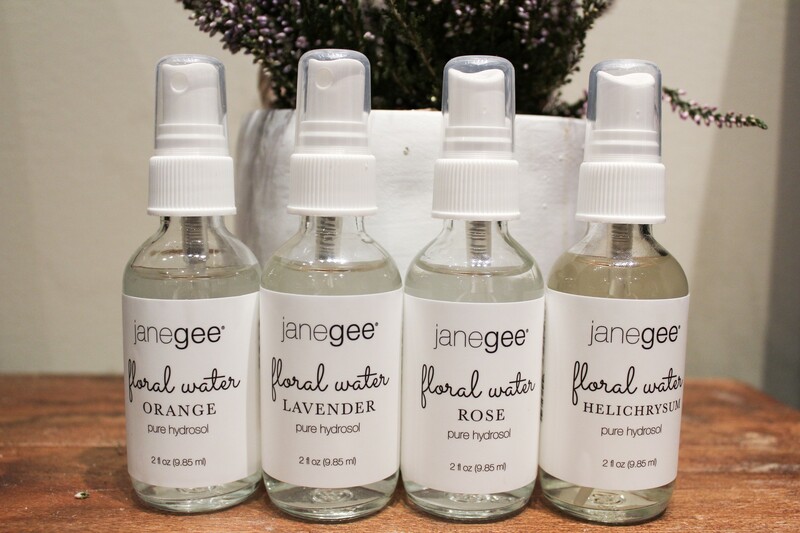 Add a pure janegee hydrosol (floral water) into your routine. It will add moisture and aid the skin in holding moisture. Hydrosols come straight from nature, and contain nutrients of the whole plant. Safe for children and pets. Floral Waters are great because you can use them multiple times throughout the day. So you can spritz them as often as you’d like! If you need an extra boost of hydration, try adding a Face Oil to your routine. We designed each of our Face Oils to help hydrate and target different skin concerns. Bulgarian Rose, Orange Blossom, and Jasmine Rose Face Oils were all designed to add hydration and protection to your skin. They are great if you’re looking for that extra boost to your routine. The following Face Oils have specific properties that will help with specific concerns, such as acne scars, oily skin, breakouts aging, and more. They are great if you’re looking for added hydration, but also looking to treat another problem. •Face Oil No.1 – Perfect for dry, mature skin. Rich in omega fats, vitamins, and minerals. Rosehip Oil helps to firm and tighten, making this a great anti-aging oil. •Face Oil No.2 – The perfect blend for oily skin prone to blackheads, whiteheads, and pigmentation. Lemon and Cypress oil help to dissolve acne and congestion within pores. •Face Oil No.3 – This is a great oil for anyone with sensitive and red skin. It’s rich in vitamins to help strengthen capillaries and moisturize skin. •Face Oil No.4 – This is the best oil for oily, congested skin. It helps to balance and promote clear skin. It deeply cleanses and moisturizes skin while loading your skin with vitamins and antioxidants. •Face Oil No.5 – Your skin needs lots of minerals in order to hold hydration. This oil is great for dry, dull skins that lack minerals. The janegee Elixir was designed for every skin no matter its condition. It has become known for it’s super hydrating properties and for stimulating the skin to produce more of its own hyaluronic. Did you know hyaluronic holds 1000 times its weight in moisture? Wow! The Elixir will balance the skin, help treat acne, psoriasis, eczema and is great on any dry, mature skin. Not to mention it is also the best anti-aging serum. We don’t believe in exfoliation. But we do believe in stimulating the skin to increase blood supply to the cells, which assists the lymphatic system to work more effectively at removing waste. How do we do that? We use our Yang Oil to bring blood up to the dermal cells. Yang oil contains a proprietary blend of essential oils such as cinnamon leaf, cranberry, and niaouli essential oils. This blend is designed to increase blood flow and balance the skin’s tone. 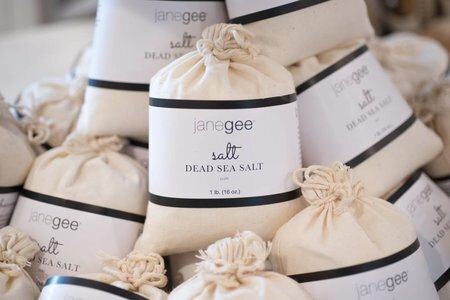 janegee Marine Mask will stimulate circulation as well as add minerals into the skin. This will allow your skin to hold onto its moisture longer. 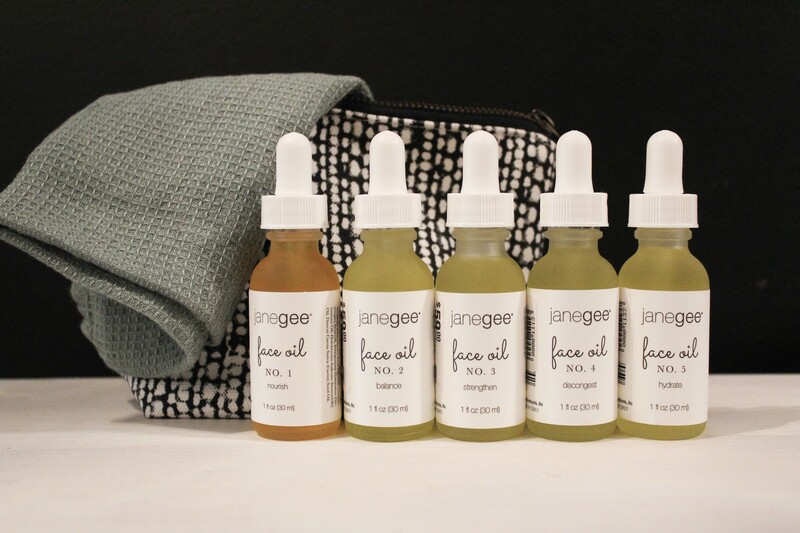 The janegee Facial Kit has everything you need to maintain your skin at home. Use it to perform mini at home facials to increase dermal circulation and detox your skin. This will result in firmer, healthier looking skin. janegee facial kit will give you all the tools you need to manage your skin, especially during this change in season. Detoxing your skin on a regular basis is very important. 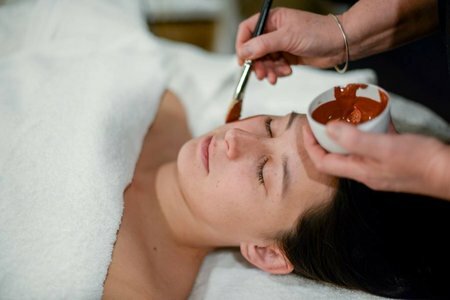 Use good quality clay that’s rich in natural minerals to detox your skin weekly. We love natural clay because when you add water, it electrically charges it. What does that mean? Well, positive and negative ions attract each other. The clay will draw up the heavy metals, dirt and debris from the skin and wash them away. Pollution particles are finer than our pores, so our poor skin is bombarded every day. You should always feed your skin and body with good, whole food. It doesn’t matter if you are vegan, vegetarian, Paleo, a meat-eater, etc. Know where your food comes from. Your diet directly affects what happens on your skin. It’s always important to follow the best possible diet for your body and your skin but it’s especially important when your skin is going through changes and dealing with concerns you didn’t have before. Whatever you do, don’t ignore your skin this fall. Cleanse, hydrate, and moisturize your skin in a way that maintains the presence and balance of your skin’s natural defenses by choosing skin care that works with your skin, not against it.